It’s certainly been an interesting past few months in the container shipping industry; from the upcoming IMO 2020 Low Sulphur Fuel requirements, Brexit (Yikes! ), US-China tariff negotiations; it’s refreshing to get back to basics and talk about the container industry. However, today the container business seems to be more logistical than purely shipping. What’s new in alliances? Nothing, actually, but it’s a decidedly different box ship business today than that of 20 years ago. 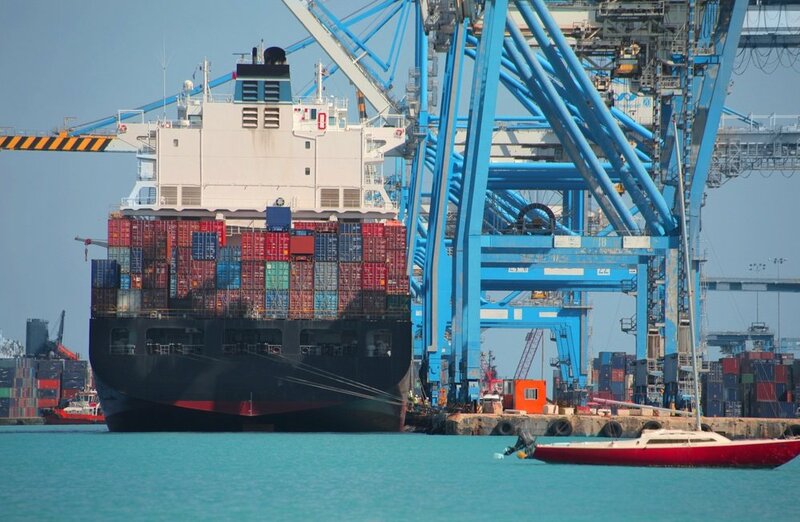 With container ships jumping from 5,000 TEU Panamax to 23,000 TEU Mega jumbos, carriers need huge amounts of cargo to fill these ships – and that’s only possible with cooperative vessel-sharing agreements. So alliances are more important than ever. But, providing cheap container carriage from A-to-B is no longer sufficient; one needs to be an integrated logistic provider to survive profitably. The biggest carriers are focusing on improving their value beyond that of pure ocean transport. Maersk, MSC, and CMA CGM, are expanding their service offerings into what would traditionally be considered 3PL services like warehousing and customs clearance, while ONE and Hapag Lloyd are primarily focusing on improving their core ocean transport offering and customer service, and Cosco/OOCL are focusing on Chinese export retail shipments in their new Eshipping partnership with JD.com. So what does our industry look like today? MSC’s Medlog says it’s the world’s geographically widest logistics and supply chain provider, with a presence in 60+ countries, including multiple container terminals. Medlog offers warehousing, trucking, locomotives, and barges, while Maersk/Damco is working to transform itself into an integrated logistics provider. Digitization is driving this end-to-end approach to container transportation which Maersk CEO Soren Skou says provides greater supply chain visibility, enabling logistics providers to offer a more integrated – and profitable - approach. Their strategic partner Zim takes slots on 2M’s trans-Pacific service, while HMM’s three-year strategic partnership expires in April 2020 (more below). The ONE Network (Ocean Network Express) of K Line, MOL, NYK Line, has said multiple times it does not believe in the integrated service model, and instead will focus on traditional ocean transport and customer service, while Hapag-Lloyd is emphasizing Bilateral ED (electronic data). 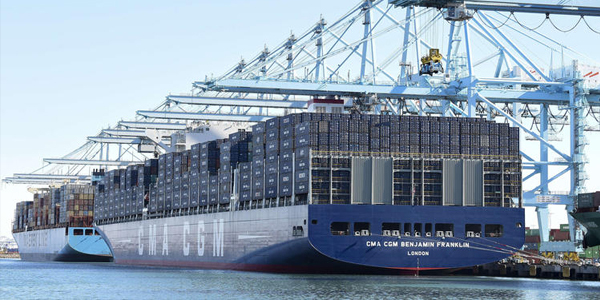 CMA CGM is adding CEVA Logistics to a portfolio that already includes a significant container terminal footprint, although one wonders how their April 3, 2019 announcement of a 16-day China-Europe trucking service will affect their ocean freight business. HMM seems to think it can become one of the world’s major carriers; secured $890 million in late 2018 and ordered 20 mega-ships for delivery beginning Q2 2020 that HMM maintains it can fill. Their 2M partnership expires April 2020. HMM said in December 2018 it had not ruled out a renewal. No news how the 2M feels, but Maersk’s announcement 2 weeks ago of purchasing 10 feeder ships is telling. Zim recently announced that they will route the majority of its 2M slots, Prince Rupert slots, via Canadian National Railway into Chicago, Memphis, and New Orleans; cutting both costs and delivery time will improve their supply chain capabilities. Additionally, Zim and the 2M will continue their capacity-reducing efforts and remove two strings from their current Asia-US East Coast routes as they chase declining container volume. Not only is this is a direct contrast to HMM’s expansion policy, but offering rationalizing slots and strings in order to provide extra value to today’s costs & time-sensitive clients is the best example of the need for alliances today.